Is Wells Fargo & Co (NYSE:WFC) a good equity to bet on right now? We like to check what the smart money thinks first before doing extensive research. Although there have been several high profile failed hedge fund picks, the consensus picks among hedge fund investors have historically outperformed the market after adjusting for known risk attributes. It’s not surprising given that hedge funds have access to better information and more resources to find the latest market-moving information. The number of hedge funds long shares of Wells Fargo & Co (NYSE:WFC) ticked up by 8% in Q2, but has gradually trended down over the past 2 years, sliding to 79 from over 100 during that time. Wells Fargo & Co (NYSE:WFC) did rank among the 30 Most Popular Stocks Among Hedge Funds in Q3 of 2018, but finished well behind both JPMorgan Chase & Co (NYSE:JPM) and multiple other investment banks. 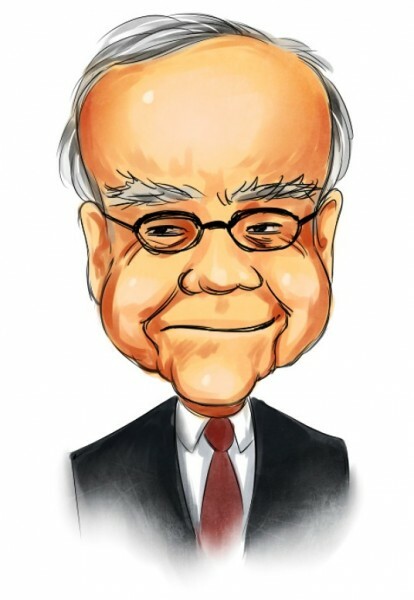 Wells Fargo is one of Billionaire Warren Buffett’s Top Dividend Picks, with a forward yield of 3.32% (it does beat JPMorgan in this regard at least). In the financial world there are tons of indicators shareholders employ to size up publicly traded companies. A duo of the most innovative indicators are hedge fund and insider trading indicators. Our researchers have shown that, historically, those who follow the top picks of the best money managers can beat the S&P 500 by a significant margin (see the details here). At Q3’s end, a total of 79 of the hedge funds tracked by Insider Monkey were long this stock, a gain of 8% from the second quarter of 2018. 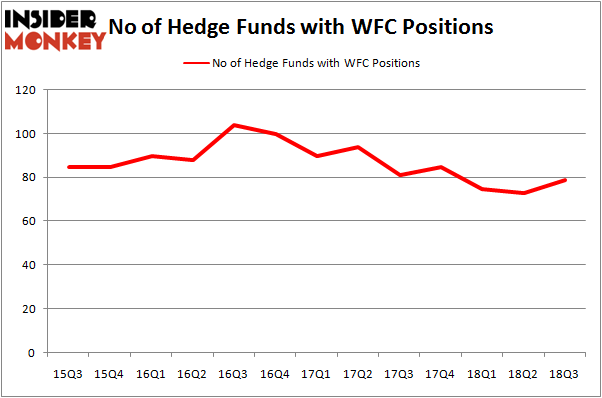 The graph below displays the number of hedge funds with bullish positions in WFC over the last 13 quarters. With hedgies’ capital changing hands, there exists an “upper tier” of noteworthy hedge fund managers who were increasing their holdings significantly (or already accumulated large positions). The largest stake in Wells Fargo & Co (NYSE:WFC) was held by Berkshire Hathaway, which reported holding $23.25 billion worth of stock as of the end of September. It was followed by Eagle Capital Management with a $1.07 billion position. Other investors bullish on the company included Gardner Russo & Gardner, Theleme Partners, and Orbis Investment Management. As industry-wide interest jumped, key money managers have been driving this bullishness. Arrowstreet Capital, managed by Peter Rathjens, Bruce Clarke and John Campbell, initiated the most outsized position in Wells Fargo & Co (NYSE:WFC). Arrowstreet Capital had $110.5 million invested in the company at the end of the quarter. Steve Cohen’s Point72 Asset Management also made a $106.6 million investment in the stock during the quarter. The other funds with new positions in the stock are Matthew Tewksbury’s Stevens Capital Management, Jim Simons’ Renaissance Technologies, and Francis Chou’s Chou Associates Management. Let’s now take a look at hedge fund activity in other stocks similar to Wells Fargo & Co (NYSE:WFC). These stocks are Mastercard Inc (NYSE:MA), AT&T Inc. (NYSE:T), The Home Depot, Inc. (NYSE:HD), and Chevron Corporation (NYSE:CVX). This group of stocks’ market valuations are closest to WFC’s market valuation. As you can see these stocks had an average of 70 hedge funds with bullish positions and the average amount invested in these stocks was $5.34 billion. That figure was $29.96 billion in WFC’s case. Mastercard Inc (NYSE:MA) is the most popular stock in this table. On the other hand Chevron Corporation (NYSE:CVX) is the least popular one with only 56 bullish hedge fund positions. Wells Fargo & Co (NYSE:WFC) is not the most popular stock in this group but hedge fund interest is still above average. This is a slightly positive signal but we’d rather spend our time researching stocks that hedge funds are piling on, like MA.